As students of Danzan Ryu, you’re learning more than physical skills. You’re studying an art rich in tradition and meaning. While we hope the techniques you learn are never needed outside of class, take the principles of Danzan Ryu with you everywhere you go. 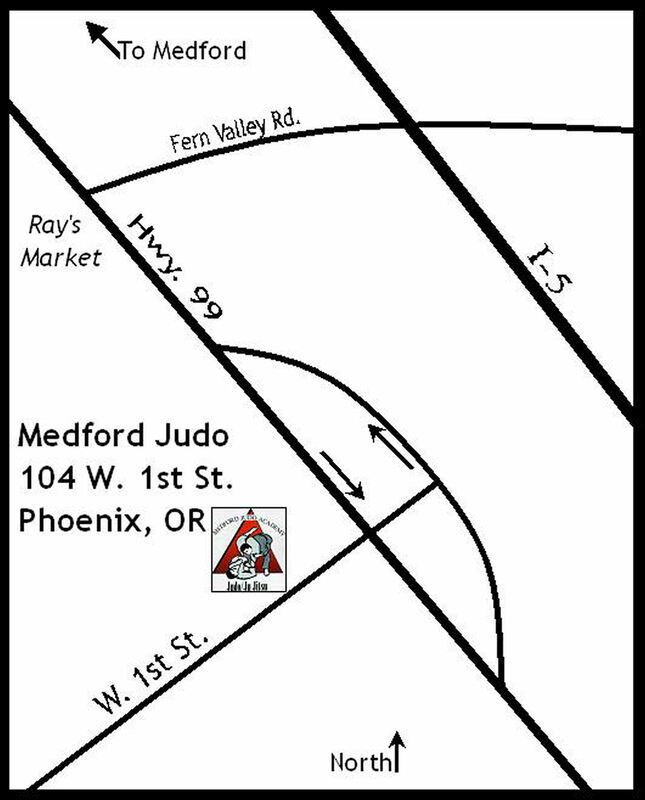 In addition to the information you’ll find here, you should become familiar with the history of Danzan Ryu and Medford Judo Academy, as well as Master Okazaki’s Esoteric Principles (view at ajjf.org). Attention MJA Students: Here’s where you can find your Student Research Paper questions. 1) When entering or leaving the dojo, bow toward the flag. 2) Never wear your obi (belt which signifies your rank) outside of the dojo. 3) Never wear your gi (uniform) as a costume. 4) When stepping on or off the mat, stand on edge of mat and bow toward the flag. 1) Always give the sensei (teacher) your full attention and respect. 2) When students are called to attention at the open and close of class, you should be standing at attention, in a straight line (by rank), with your gi tidy. 3) If class is already in session before you step onto the mat, stand on edge of mat and bow toward the flag, then wait for the sensei to bow you into class. Always walk behind the other students to your place. 4) When working with a partner or group, bow together at the beginning and end of your workout. 5) If leaving the mat during class, wait for permission from the sensei. Bow to the sensei and then bow off the mat. 6) When class is closed, remain at attention in line until all senseis are off the mat. Exit the mat by rank. 1) Rei – standing bow – feet together, palms on front of thighs, bow, sliding hands down thighs until fingers touch the knees. Keep your eyes on the person you’re bowing to. 2) Zarei – kneeling bow – knees together, feet together, soles up, make a triangle with the thumb and forefingers on mat a few inches in front of knees, touch forehead to mat in triangle. 3) Seiza – sitting on knees – kneel and sit back on your ankles. 4) Anza – sitting with legs crossed. 5) Whenever seated during class, sit seiza or anza, with your hands resting on your thighs. Always stand with your right leg first. This is a physically demanding art, and there is certainly potential for injury. However, working safely is every student’s and instructor’s responsibility. Tap: If you are in pain or placed in a dangerous position, tap your partner, yourself or the mat so that your partner is aware that you wish to stop. The tap should be loud and/or solidly felt. If someone is injured, stop and call an instructor. Instructors have training in first aid and athletic taping. Be sure the dojo always has your current phone number in case of emergency. Master Okazaki called his dojo in Hawaii KoDenKan – the school of ancient tradition. That tradition is where; “senior students teach the juniors”. As you advance in Danzan Ryu, you will have the opportunity to pass on your knowledge to others. Danzan Ryu – cedar mountain (or sandalwood mountain) style – this is what Master Okazaki named his combination of judo and jujitsu arts. Jujitsu – The gentle art. Judo – The gentle way. Kodenkan – School of ancient tradition (the ancient tradition is seniors teaching juniors; this is what Master Okazaki called his school in Hawaii). Shomen – Front (in each room of our dojo, this is the front of the mat where the flag is displayed). Gi – uniform (uwagi is the coat, shitagi is the pants). Obi – Belt for gi, signifies rank. Sensei – Instructor (sen = predecessor; sei = person). Ni – Toward (shomen ni= face toward the front). Seiza – Sitting on knees. Anza – Sitting with legs crossed. Kokua – Spirit of cooperation or helpfulness. Makoto – Sincerity or pure heart. Kioske – Turn on your ki / attention (to join one’s spirit). Tori – Person performing a technique, hold or breaker. Uke – Person on whom a technique is being performed. 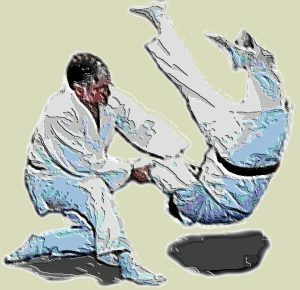 Kata – True form of judo technique (standardized version of a technique). For an extensive list, including kanji (Japanese writing taken from Chinese characters), see this Danzan Ryu Vocabulary from danzan.com. Beginning ranks are counted in reverse order, from tenth level (jukyu) to first level (ikkyu). Dan, or black belt, ranks are counted in order from 1st degree black (shodan) to 10th degree (judan). The title of professor may be given at the 6th degree level (rokudan). All adult students begin as a white belt (sixth level; rokkyu). Each rank advancement includes the requirements for all prior ranks. Danzan Ryu Jujitsu’s teaching system is based on selections of “Boards” – techniques categorized in lists. Discriptions and photos of most techniques are available on our website under the Techniques section. Also, Medford Judo Academy has produced an Audio “Flash Cards” CD which can help you learn the names and definitions of all your techniques. All students begin as a white belt (jukyu). Each rank advancement includes the requirements for all prior ranks. Kids at Medford Judo Academy are taught effective, age-appropriate techniques. 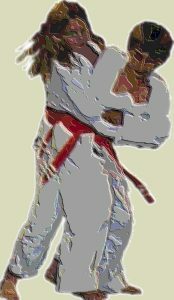 Many techniques in Danzan Ryu are reserved for black belt ranks, and the minimum age to attain that level is 16. Danzan Ryu Jujitsu’s teaching system is based on selections of “Boards” – techniques categorized in lists. Discriptions and photos of most techniques are available on our website under the Techniques section. Kids requirements can be found on the Nage, Kodokan, Yawara, and (for purple belts) Ate Mi boards. In addition to the techniques listed here, students should know the Ukemi, or falling exercises. Here is a printable version of the kids rank requirements.